Welcome to our live blog of the 2013 Grammy nominations concert! On Wednesday, Dec. 5, the Recording Academy presents “The Grammy Nominations Concert Live!! – Countdown to Music’s Biggest Night,” featuring performances by the Who, the Band Perry, Fun, Maroon 5, Ne-Yo, Hunter Hayes, and more. 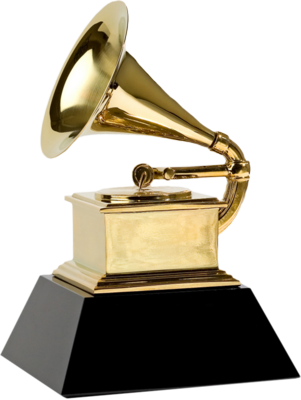 In addition, the 2013 Grammy nominees will finally be revealed. Don’t ask me how they plan to squeeze all of that – plus banter from co-hosts LL Cool J and Taylor Swift – into just one hour. As was the case last year, the show will probably only announce a handful of categories during the broadcast, with the rest being available for viewing and download on grammy.com after the show. Somehow, the Academy managed to keep the 2013 Grammy submission lists secret without any leaks, so it’s anybody’s guess who will get nominated. We’ve got some guesses for Best New Artist and Album of the Year, as well as a list of dark horses we would love to see sneak in there. “The Grammy Nominations Concert Live!! – Countdown to Music’s Biggest Night” airs live on CBS at 10 pm ET on Wednesday, Dec. 5. Come back to this page to follow our live coverage as we offer our insights and opinions on the live performances and on which artists got snubbed by the Academy. 10 pm: Here’s some painful banter between co-hosts LL Cool J and Taylor Swift, featuring Taylor beat boxing and LL singing country music. Yikes. This is why they stopped having hosts for these things. I expect Taylor to get a few nominations tonight, so we’ll see how that plays out. 10:04 pm: A tribute to Johnny Cash! Now that’s a cool way to start the show. We’re treated to a clip of Johnny from the 1973 Grammys, the first time the show was hosted in Nashville. The Band Perry and Dierks Bentley honor the Man in Black with a collaboration performance on “Jackson.” I would’ve expected a medley of hits, but they did a good job on the single tune. 10:09 pm: Hunter Hayes is here to sing the nominees for Pop Vocal Album. It’s Kelly Clarkson for Stronger, Florence + the Machine for Ceremonials, Fun. for Some Nights, Maroon 5 for Overexposed, Pink for The Truth About Love. No big surprises there, but I’m happy to see Florence get in since I went against ost other pundits by picking her to get nominated for Album of the Year. 10:15 pm: Fresh off their Pop Vocal Album nod, Maroon 5 perform all three of their hits from the album – “One More Night,” “Moves Like Jagger,” and “Daylight.” “Daylight” is Maroon 5’s Coldplay moment. It’s their big stadium sing-along. Will these guys get an Album of the Year nom later? It’s looking more and more likely. Instant analysis: Whoa, six nominees! That hasn’t happened since… ever! It’s the first time in Grammy history the category contains more than five nominees. And every one of them has a legit shot to win. The Academy loves Swift and Clarkson, Ocean is the critical favorite for this year, Fun and Gotye had the biggest chart success, and the Black Keys could win if the entire rock contingent supports them, like Arcade Fire did in Album of the Year in 2011. This will be a tough one to call. 10:23 pm: So much for that hyped performance by the Who. It’s just a partial clip from a pre-taped live performance, and Roger Daltry is shirtless. Good call by the Grammys to cut to commercial early. 10:30 pm: Decent performance by Luke Bryan. The confetti was a little over the top. It’s not like the dude won the Super Bowl. 10:31 pm: The Best New Artist contenders are Alabama Shakes, Fun., Hunter Hayes, the Lumineers, and Frank Ocean. Wow… what a lame group that’s not even close to what we predicted. No Ed Sheeran, no Ellie Goulding, no One Direction, no Gotye, no Lana Del Rey. At least Frank Ocean won’t have much competition for that one. 10:36 pm: Fun and Janelle Monae perform a stripped-down “We Are Young.” Nicely done. But I’m still sick of the song. The good news is that because they’re playing it now, they won’t be asked to sing it again at the real Grammys. 10:47 pm: Ne-Yo is turning his sweet song “Let Me Love You” into a Eurodance club hit. Bad idea, Ney. 10:51 pm: The freaking Lumineers announce the Country Solo Performance nominees. It’s a solid group, and we like either Blake Shelton or Carrie Underwood. 10:55 pm: Album of the Year nominees are El Camino by the Black Keys, Some Nights by Fun., Babel by Mumford & Sons, Channel Orange by Frank Ocean and Blunderbuss by Jack White. WHAT?! Four rock nominees? In a year in which rock music wasn’t all that great? That’s insane. It also ensures that there’s no possible way Frank Ocean can lose. This one’s in the bag for the R&B star.